Nigerians love night browsing because of its perks and offers. MTN is one of the first telecoms to offer night browsing services. 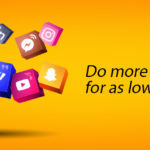 The MTN night browsing – known as Pulse Nightlife Bundles – is available on MTN Pulse which offers call rate at a flat rate of 11 kobo per second. MTN pulse also offers loads of other perks both in calls and in data. Previously, the MTN night browsing plan has only one plan – the N25 plan. This plan offered a data volume of 500MB usable for one night between 12 am and 4:00 am. The plan could be used for several purposes such as browsing, social networking, downloading, chatting and so forth. Unless you are an ardent Pulse Nightlife bundle user, you probably do not know that MTN has revised its Pulse Nightlife bundles. Although the MTN Pulse Nightlife bundle has been scaled down, it now includes more options but generally has similar features. There are basically two data bundles in the MTN Pulse Nightlife bundles. These include the 250MB Pulse Nightlife bundle offered at N25, and the 500MB Pulse Nightlife bundle available for N50. 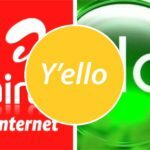 As you would expect, these two plans are usable just for one night but unlike the previous MTN night browsing package, they could be used from 12 am to 5:00 am. Moreover, MTN allows you to use a maximum of 500MB for one night. In other words, you can subscribe to the 250MB Pulse Nightlife bundle twice in a night but you can only subscribe to the 500MB Pulse Nightlife bundle once. Also, the MTN Pulse Nightlife bundles cannot be rolled over, they cannot be used in the day, and they are not automatically renewed. Just like the previous MTN pulse bundle, you need to migrate to MTN pulse to enjoy its benefits. 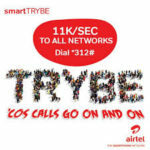 You can migrate by dialing *406# or *123*2*2#. Alternatively, text 406 to 131 to migrate. You can subscribe to the 250MB Pulse Nightlife bundle by sending NT1 to 131. For the 500MB Pulse Nightlife bundle, send NT2 to 131. You can also subscribe to any of the nightlife bundles by dialing *406# and choosing the bundle plan you prefer. To check your MTN Pulse Nightlife bundle, dial *559*96#. MTN Pulse Nightlife bundles are seamless ways to browse at low cost on your favorite network.